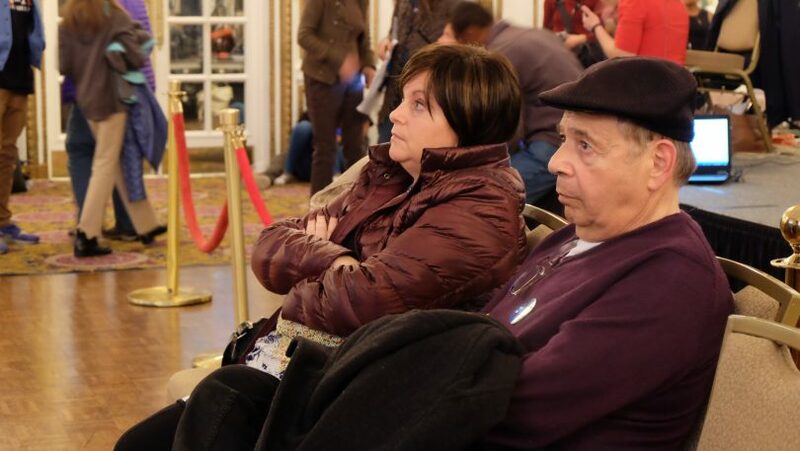 BOSTON , Nov. 8, 2016 - Hopeful faces of Democrats supporters turned to worries in the Mass Dems Election Night as Trump leading in the electoral votes. 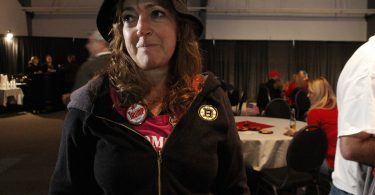 A despondent crowd left even before the final results came in at the Massachusetts Democratic Election Night, trying to come to grips with the reality that Hillary Clinton may have been defeated by Donald Trump. Clinton supporters openly wept, cursed, and some just walked trance-like from the room as they realized that what had seemed like an easy win for Clinton only weeks ago had slipped through their fingers. 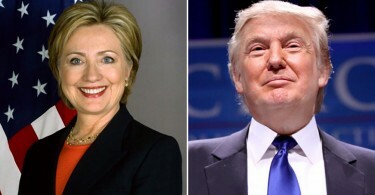 The event was a joint party for both Clinton and the No on Question 2 campaign, which opposed the expansion of charter schools in the state, but the ballot measure was quickly forgotten as the presidential results began to trickle in. The early portion of the evening was dominated by attendees nervously, but excitedly, glancing up at electoral maps being projected on giant screens walling the ballroom. A victory for the No on 2 campaign early in the evening brought with it a cautious optimism. As swing state after swing state reported results too close to call though, there was a clear anxiety rippling through the crowd. A series of speakers thanking No on 2 campaign volunteers and staff provided a much needed reprieve from the tension dominating the room. It was a distraction quickly forgotten though as the projector turned back just in time to show Trump had taken Ohio. No candidate since John F. Kennedy had won the presidency without having won Ohio, a point not lost on a room of campaigners, reporters, and politicians. Then North Carolina was called for Trump. Then Florida was called for Trump. The anchors on CNN broke down the counties in Michigan and Wisconsin, but the room couldn’t pay attention. Chatter began to go to the 2004 election when George W. Bush defeated Al Gore. FBI director James Comey’s name began to sneak into conversations. Any expression of hope that his recommendation to not charge Clinton came soon enough was shot down as naivety. Rumors began to circulate that the stock market was in a downward spiral. It slowly became clear that none of the scheduled speakers from the Massachusetts party would be taking the stage that evening. Supporters moved from the ballroom to the lobby and shortly after from the lobby to the exit.